Limited tickets available. Book early or miss out! Strassman’s newest show is The Chocolate Diet. Ted E. Bare’s health quest is hilariously painful and one we can relate to. Meanwhile Chuck is going through an identity crisis. 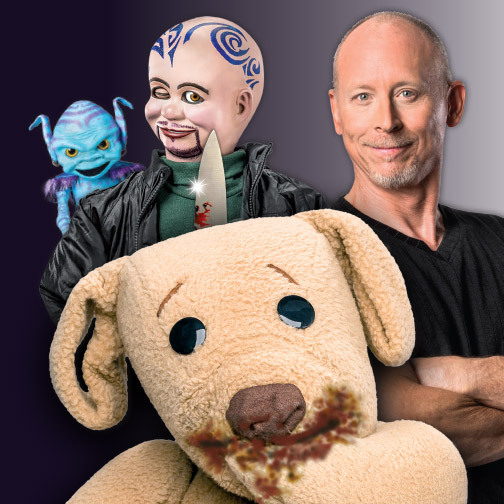 Strassman is one of Australia’s favorite comedians, a master of his art. Once again, he delivers the ultimate night out. Patron advice: this performance is rated MA. Children 12 to 15 years old must be accompanied by a parent or guardian. Children under 12 years of age will not be admitted. The Chocolate Diet will run for 1 hour 40 minutes including a 15 minute interval. Strobe lighting may be used during this performance.